Irmis Ltd. Storage Systems offers a wide range of Commercial and Industrial storage solutions covering full services all over Ireland. Irmis Ltd. provide certified services in designing, installing, rebuilding, selling and moving of all kinds of Storage Systems for all businesses irrespective of their type, size and configurations. For all your simplification, organisation and efficient space management needs on your facility contact Irmis Ltd. Storage Systems for absolute and efficient answers to all your problems. Our experts can help you in handling all kinds of managing problems in your premise and help you efficiently start over again. Not only does Irmis Ltd. Storage Systems offer help in maintaining your storage facility and enhancing its usability by offering a vast range of racking and shelving systems, we can also assist in the installation of storage equipment of any type or brand. We also offer consulting services to commercial and industrial customers and help them make the best choices and make the most of their precious finances. We also purchase warehouse equipment and can help you liquidate your material handling system through switching with a new one with us. We also offer second hand good quality racking and shelving material for those who are on a tight budget. 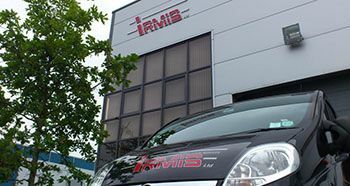 Irmis Ltd. is a registered company located in Ashbourne, Co.Meath, Ireland since 2006 and has been efficiently imparting Storage Systems installation services all over Ireland. All our staff members are experienced, professionals whose professionalism and expertise has satisfied several valued customers. Our staff moves ahead with a common goal of customer satisfaction and meeting the customer’s demand is the main objective. Our expert design engineers, installers, operators and sales associates are all certified professionals recognised for their professionalism and dedication towards their jobs. We all know that in a thriving and tough economy as today efficient material storage and its management makes a lot of difference between survival, failure and success of a business. We extend our expertise and experience in storage and retrieval systems to our customers along with our ability to offer affordable solutions for your storage equipments. Out professional staff’s familiarity with the various types of material handling in different industries offer an added advantage on understanding our customer’s requirements and fulfilling their every Storage Systems need. Irmis Ltd. is recognised in the Ireland market as a leading Storage Systems service provider for the multiple warehouse storage options and solutions it offers. We offer specialised services in the areas of manufacturing, designing, selling and servicing of different types of racks including metal and selective racking along with other storage solutions such as automated warehousing and others. To make the decision process easy for our customers we offer free proposals fit for your situation until you realise how easy saving money can be for you. Irmis Ltd. guarantee that all projects will be planned with a schedule of works. This will give our clients a time line in-which the project will take place. Deliveries and installation time will be to an agreed schedule. Any installation documentation such as Method Statements, Risk Assessments and Health and Safety Statements can be provide upon request. On completion of all projects, the appropriate documentation will be signed off and project handed over to the client.